Democratic presidential candidate Bernie Sanders said that if elected, he would ask President Barack Obama to withdraw his Supreme Court nomination of Judge Merrick Garland and make a new appointment. During an interview with MSNBC’s Rachel Maddow, Sanders said he supports Garland – currently the chief judge of the US Court of Appeals for the District of Columbia – but that he’s “probably not the most progressive pick the president could have made” for the Supreme Court. 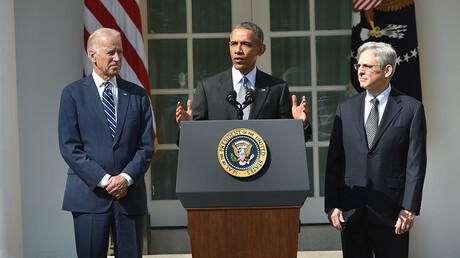 Obama nominated Garland on Wednesday to replace the late Justice Antonin Scalia. When questioned on whether he’d ask Obama to withdraw Garland’s nomination should he win the election, Sanders said, “Yes, I would.” The Vermont senator argued that anyone he nominates would clearly be in favor of overturning Citizens United, the Supreme Court decision that removed caps on election spending by individuals and corporations. “I have said over and over again that I do have a litmus test for a Supreme Court justice and that litmus test is that justice must be loud and clear in telling us that he or she will vote to overturn the disastrous Citizens United Supreme Court decision,” he said. “I am very worried about the future of American democracy and about the ability of billionaires to buy elections." However, Sanders also said that despite Garland not being the first choice for progressives, he “strongly supports” Obama’s nominee. The Vermont senator also blamed Republicans for constant “obstructionism.” The GOP has adamantly said it won’t confirm any Obama nominee, nor will leadership hold hearings on his potential appointment, and that the next president should appoint Scalia’s successor. 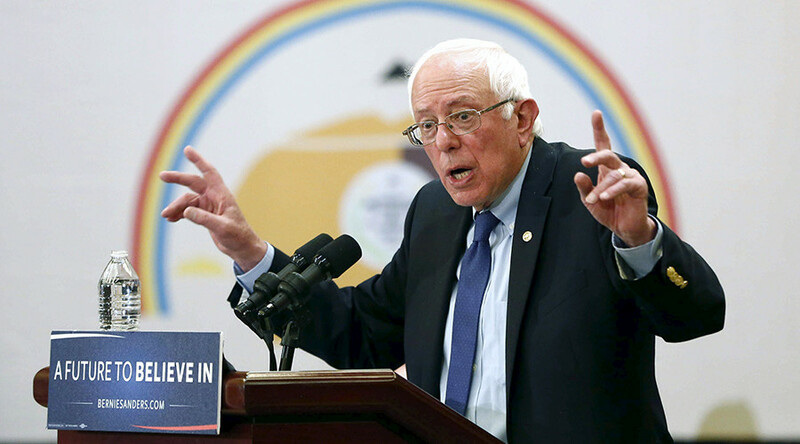 For Sanders to choose his own candidate, he would have to win the Democratic nomination first. He currently has 830 pledged delegates, trailing behind his rival Hillary Clinton who has 1,147. When ‘superdelegates’ are factored into the equation, Clinton leads with 1,614 to Sanders’ 856. Sanders told MSNBC that he still has a shot at winning the nomination and picking up delegates in upcoming states, including California, Washington, Oregon, and New York. He said that he may also be able to convince some superdelegates to move away from Clinton and towards him.